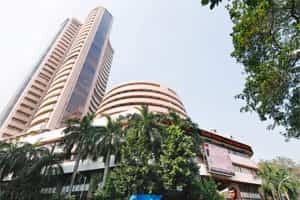 Mumbai: Indian shares posted solid gains for a third straight day on Friday and logged their best week since July 2009 on prospects of a revival in foreign fund inflows and expectations of a pick up in domestic growth. Lenders and software services firms led gains in the benchmark index that rose 2.2% to 16,846.83 -- its highest close since 15 November -- with all but one of its components gaining. “The market still remains uncertain but there is some sort of comfort," said Alex Mathews, head of research at Geojit BNP Paribas. “One is Europe, and also hopes that GDP growth will pick up and the government will be able go ahead with FDI (foreign direct investment) in retail." Markets will be largely driven by global cues next week as well, with investors eyeing the 9 December European summit for bold decisions, while the US nonfarm payrolls data due later on Friday is seen as confirming a tentative recovery in the world’s biggest economy. Mint’s Krishna Merchant talks about how markets fared on Friday and what developments investors are looking to in the days ahead. The index gathered pace in the second half of trade on Friday, tracking gains in European shares, after a choppy start. The benchmark gained 7.3% on the week, its first weekly gain since end-October and best performance since July 2009. The index, which shed 8.9% in November, is still down nearly 18% on the year, and is among the world’s worst-performing equity markets. Foreign funds have been net sellers of more than $500 million of Indian shares this year, compared with record buying of more than $29 billion in 2010. A revival in foreign fund inflows next year would be key for the market’s growth. India’s Finance Minister Pranab Mukherjee said on Friday foreign direct investments had risen this year, but there were concerns about outflow of portfolio investments. A Reuters poll this week showed the main stock index could rise almost 17% by the end of 2012 to 19,250 points, as investors bet on a possible cooling off in inflation and a reversal in the interest rate tightening cycle as the economy slows. The Indian economy, which grew at 6.9% in the quarter to end-September -- much slower than 7.7% growth in the previous quarter, will likely pick up in the January-March quarter, the chief economic adviser to the finance ministry said on Friday. There are also worries about the scandal-hit government’s ability to push through crucial economic reforms. Proceedings in parliament have been disrupted daily since the session began last week, following the opposition’s demand for rolling back a proposal to open up the retail sector to foreign investment. Citigroup said in a note on Friday “structural snags" in the form of inflation and economic slowdown remain for the Indian markets, but valuations had turned “relatively attractive". The US bank, which sees benchmark BSE index at 18,400 points by next December, is overweight on banks and autos, relatively defensive on telecom and pharmaceutical sectors, and underweight on materials, information technology, utilities and consumer stocks. Lenders extended gains from the previous session, with top two banks -- State Bank of India and ICICI Bank adding 3.4% each, while HDFC Bank gained 2.8%. The sector index rose 3.1%. Software services exporters, who get majority of their revenue from the United States and Europe, also gained. Sector leader Tata Consultancy Services jumped 3.8%, while Infosys Ltd added 1.5% and Wipro rose 1.4%. Reliance Industries, India’s most-valuable firm and the heaviest stock in the main index, reversed early losses to close 1.6% higher. The stock had fallen as much as 1.6% during trade after Bank of America Merrill Lynch downgraded it to ‘neutral´ from ‘buy´ and cut its target price. In the broader market, there were more than two gainers for every loser, with about 552 million shares changing hands. The 50-share NSE index gained 2.29% to 5,050.15 points. World stocks as measured by MSCI were up 0.44%, while the emerging equities added 0.1%. Kingfisher Airlines reversed early losses and closed 3.6% higher. Chairman Vijay Mallya said on Friday he was still in talks with an Indian investor to raise funds. Cable television service providers Hathway Cables and Den Networks rose 7.6% and 3.4%, respectively, after a newspaper report said the government could increase foreign direct investment limit in the distribution platforms to 74% from 49% currently.